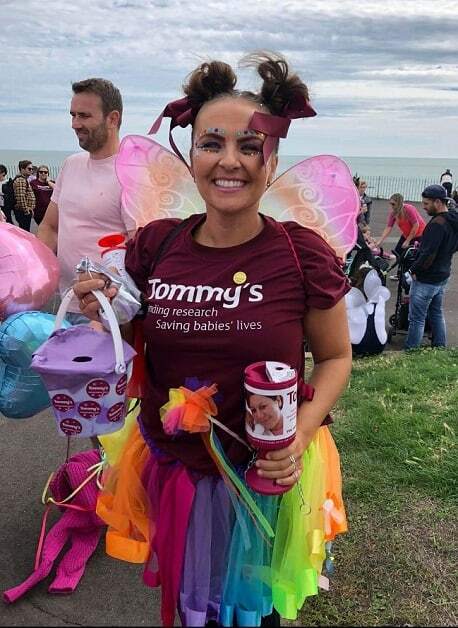 Rainbow skirts, angel wings and more than 350 people of all ages have been raising money for Tommy’s miscarriage, stillbirth and premature birth charity in memory of baby Florence. 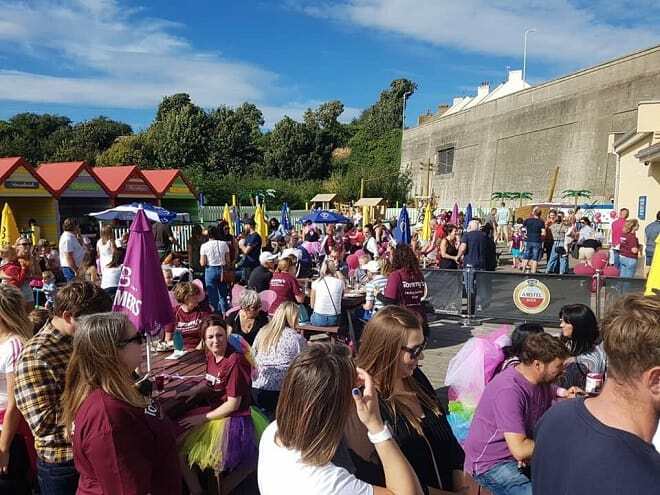 The sponsored walk from Ramsgate to Broadstairs took place on September 9 and has raised in excess of £6,000 so far. 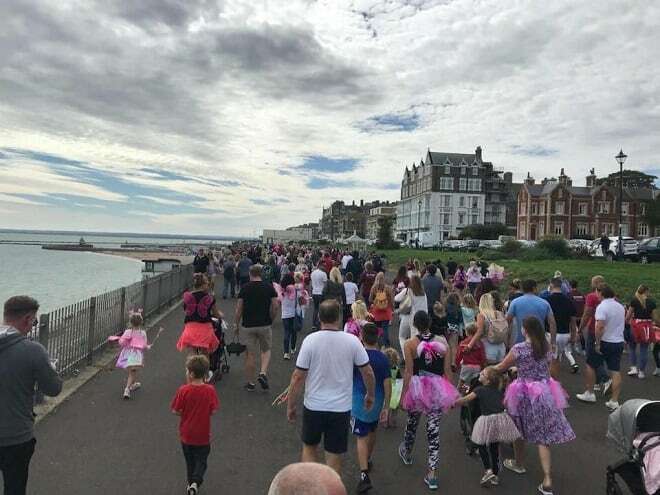 The walk was organised by Broadstairs couple Carina Neeves and Mark Taylor in honour of their daughter Florence Grace who passed away shortly before Carina’s 41st week of pregnancy. 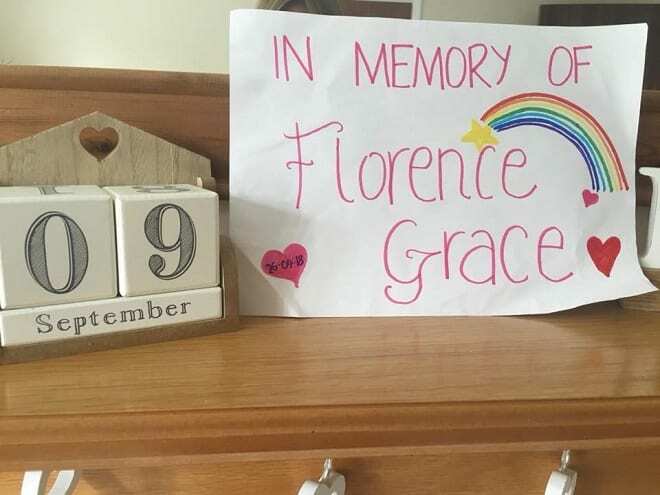 Florence Grace sadly lost her life after Carina’s placenta stopped functioning in her 37th week of pregnancy, meaning a resulting inadequate supply of oxygen and nutrients. The couple were later told that the cause was placental failure that was undetectable. Carina has been informed that an investigation is currently being carried out by the health trust. The pair then discovered Tommy’s charity, which supports parents that have been through the loss of a baby and helps them to understand what happened and why. Carina was also able to get advice on their hopes to try for another ‘rainbow’ baby. The walk for the charity was also Carina and Mark’s way of saying thank you to all those people who have supported them. 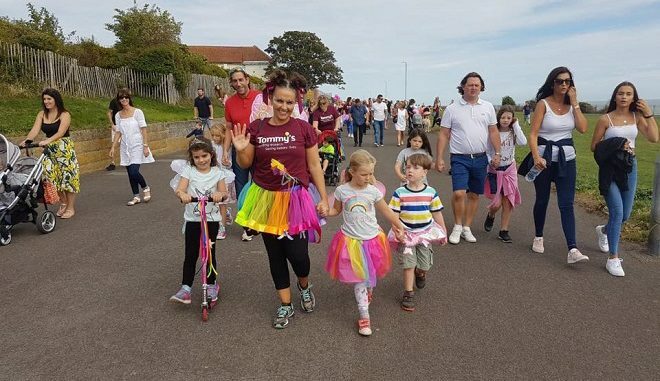 Carina said: “Family, friends communities and angel mummies and daddies came together to walk in loving memory of beautiful Florence. 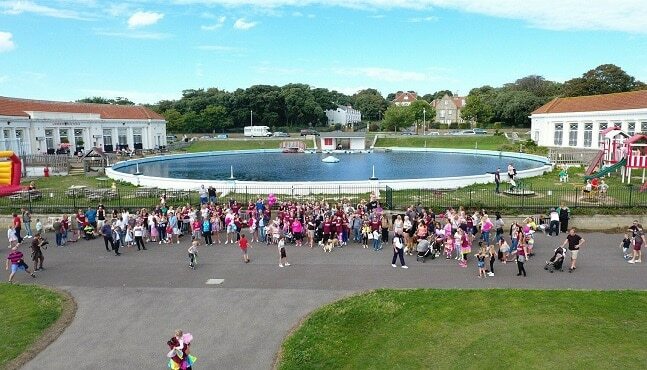 “People stood side by side and walked for Florence in Ramsgate, Lincolnshire, Madeira, Dubai and Australia. We came together to celebrate Florence’s life and also the life of those precious angels no longer with us. “Smiles and tears were shared and together we stood strong for our angel babies and to support one another. “On the day of the event I wore a rainbow skirt as a symbol of hope – as after the storm come a rainbow. Mark and I are trying for our rainbow baby and Tommy’s have offered us so much support. “We are estimating that overall we have raised more than £6,000 for Tommy’s charity. This will fund awareness and essential research into causes and prevention of miscarriage, stillbirth and premature birth. We hope our donations will help prevent this heartache for future mothers and families. 774,835 babies were born alive in 2016. 2,122 babies were born each day. 684 babies were miscarried each day. 164 were born preterm each day. There were 3,430 stillbirths in 2016. There were 2,136 neonatal deaths. 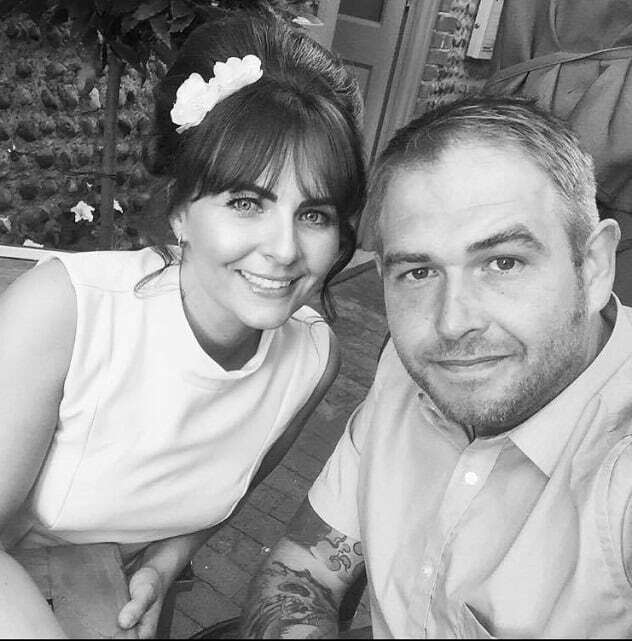 Tommy’s is committed to funding medical research and providing information to help more mums and dads through a healthy pregnancy and birth.